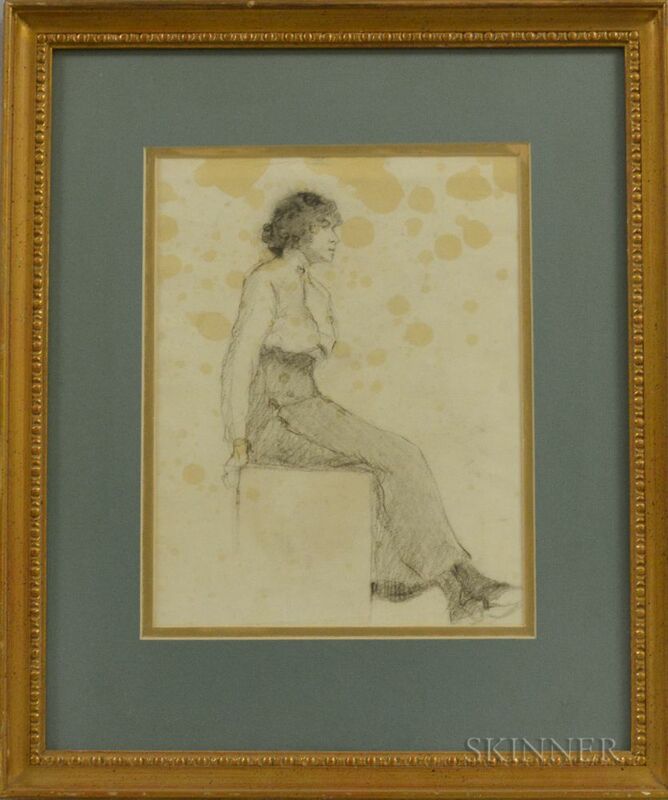 Double-sided Portrait of Gertrude: Full-length Seated and Head and Shoulders. 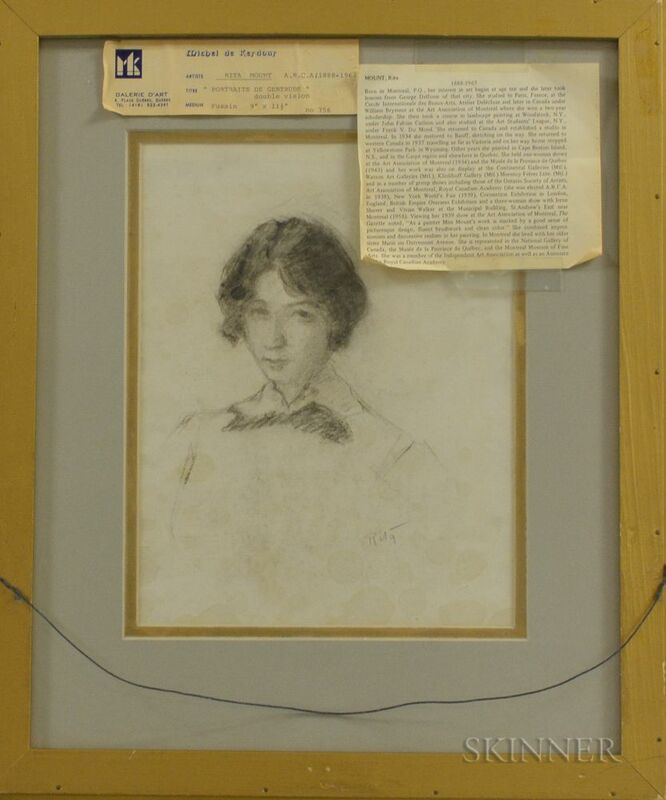 Head signed "Rita" l.r., identified on a label from Michel de Kerdour Galerie d'Art, Quebec, affixed to the glass on the reverse of the frame. 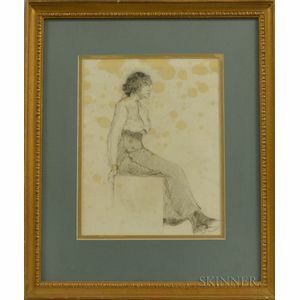 Charcoal on watermarked Michallet paper, sight sizes to 11 1/4 x 8 5/8 in., in a double-sided frame. Condition: Staining, not examined out of frame.